Born November 12, 1945 in Toronto, Ontario, Canada. US-based vocalist / songwriter who plays guitar, keyboards and harmonica. Also active on environmental and political issues. Inducted into Rock And Roll Hall of Fame in 1995 (Performer). I find it so weird to make a difference between Neil Young and Neil Young & Crazy Horse. Confusing really! Please fix discography! No "Zuma", No "Everybody Knows This Is Nowhere ". Just because the title says "& Crazy horse" doesn't mean it's not a Neil Young album. Come on man! Neil Young is a true genius! In my opinion one of only two artists from the 1960's who can be called that. The 60's spawned so many great great artists but only two geniuses (again in my opinion). Just for fun,anyone care to guess who the other one might be? Neil Young goes to record shopping......and finds Neil Young bootlegs Records!!!! Where is "Everybody Knows This Is Nowhere" ? Oh never mind - under him and Crazy Horse. What a brilliant prolific artist! I won't be surprised to see Neil sitting on stage with a beat up 'ole acoustic guitar and harmonica attached, when he's 80 years old (not too long now) still rasping out fantastic country rock in that tenor tremble. You have to respect the variety of styles Neil has embraced over the years from pop to noise/feedback, but his rock n roll heart always manages to shine through. Look, it might be a disgrace to write about an country/rock whatever artist as a true electronic addept. 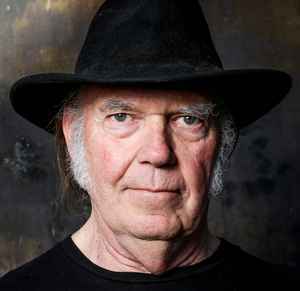 But Neil Young is just amazing, his music speaks right to the heart with true integrity, wisdom and truth. Neil knows how to bring everyday in great music, thats why I adore him.